Years ago, I read a short story or novella about a city that was completely contained in one cube-shaped building that was one mile on all sides (height, width, length). Does anyone know the title? If the story was in a collection, do you know the name of the collection? Thank You all for your help. 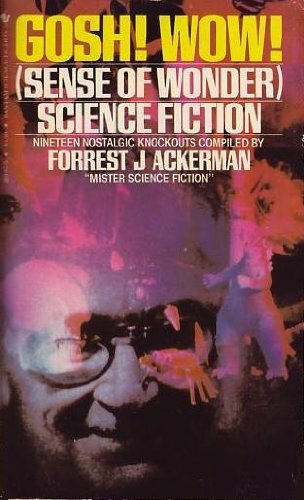 I really don’t remember how many years ago I read the story, but it was at least 30 years ago and I read it in a book or magazine and not on the internet. I think one of the stories mentioned in the answers probably was the story I was looking for. They both seem very interesting. I’ll try to get copies of each of them. I am sure the city-building was a perfect cube shape, but perhaps it was 2 miles on each side, rather than one mile. I appreciate these answers and am sarisfied my question was answered. "Two miles wide, two miles long, and two miles high is eight cubic miles. Eight floors to the hundred feet or four hundred to the mile give three thousand two hundred square miles of floor space. This is as large as an ancient city forty miles long and twenty wide, covered solidly with houses four stories high; and no part of it is more than two miles from any other part." "Obvious," answered I, "but not enthusing." "You do not click it," shrugged my guide. The phrase intrigued me and I stared at him. He was neatly uniformed in dark olive-drab, like a hotel bellboy; but few bellboys have such a chin and none such eyes of flashing dark intelligence. "Try it from another slant," he said. "We have no traffic problem." "What is your population?" I asked. "You are not overcrowded," I sneered. He took me seriously. "Eight hundred floors," he said: "about a hundred thousand to a floor. That is twenty-five thousand to the square mile and forty persons to the acre. We give a thousand square feet of floor-space to each. That is enough." "I am an explorer," I smiled. "I have been away from your modern cities for a long time. Many things in your ultra-modern civilization puzzle me. Explain as if I were a child." Pleased by my confidential tone, he answered: "Press this black button, dictate against this disk, and take the printed record from this drawer. Press this white button, manipulate this dial, and speak to any person in the city; or ask for Central and get any person in the world. Reverse the switch and get music or lectures on the first button or any book or play you like on the second. The rear of the disk throws the image of the person you speak to or the moving picture of the play or book upon that mirror." "You spoke of a newspaper?" "The same disk with this second switch thrown. Push the button for numbered table of contents, then manipulate the dial and hear and see what news you wish." 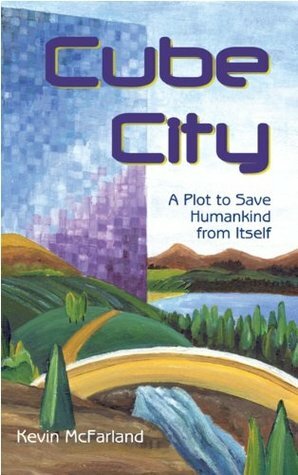 Is it possible you're thinking of Kevin McFarland's 2010 Cube City: A Plot to Save Humankind from Itself? Ecotopian Science Fiction Novel-- One million Cubizens built and live in a City Size Building. In the One Cubic Mile City the Citizens have agreed to be part of an experiment to discover "How Best can Mankind Live Together?" Perhaps Oath of Fealty, about an arcology (city in a building) outside Los Angeles? Short story or novella about an extrasolar planet that develops intelligence, sends comet-like probes towards Earth?